Tom Hughes was born in Massachusetts in 1965. He attended Northeastern University and M. I. T. for physics but left in 1986 to work as a staff artist for the Christian Science Monitor daily newspaper, until 1989. After this, he did freelance illustration for a few years while he taught himself to paint. Hughes has been a professional artist - having finished his last actual job in 1992 - for 20 years. 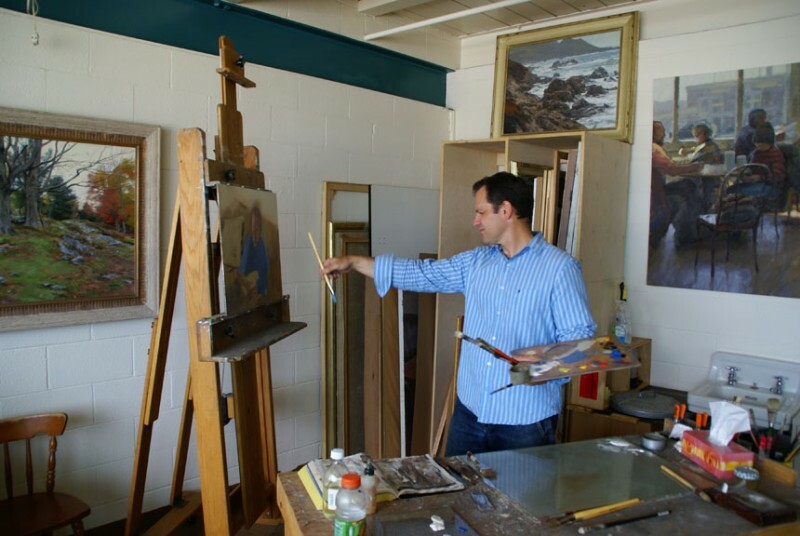 He paints figures, portraits and landscapes in various media: oil, acrylic, watercolor and alkyd. He has had solo exhibitions at galleries in San Francisco, Lake Tahoe, the New England states, and France. His work has been featured in American Artist Watercolor magazine and Fine Art Connoisseur, for which he painted the magazine's publisher Eric Rhoads's portrait in oils. Tom Hughes is one of the artists whose work is featured in a book about watercolor painting skills, Watercolor Painting by Tom Hoffmann, published in 2012 by Watson-Guptill. In 1999, Hughes moved from New Hampshire to Meeks Bay on the west shore of Lake Tahoe where he and his wife Charlene lived for several years. They now reside in Alameda, CA.